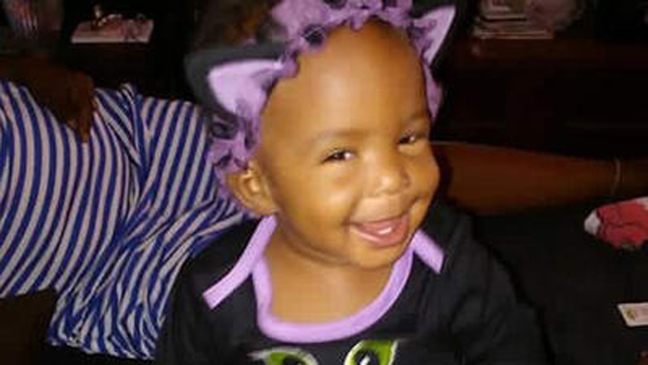 The Compton City Council has voted 5-0 to authorize a $25,000 for information leading to the arrest and conviction of whoever was responsible for killing 1-year-old Autumn Johnson, and the total reward is expected to soon rise to $75,000. The vote by the Compton City Council came Tuesday night, when Compton Mayor Aja Brown announced that Los Angeles County Supervisor Mark Ridley-Thomas and the FBI both plan to match the city’s reward. Autumn Johnson was asleep in her crib at home in a converted garage when a gunman got out of a car in the 300 block of North Holly Avenue in Compton and fired bullets into the structure around 7 p.m. Feb. 9, hitting her in the face, authorities said. Because fire department paramedics had not arrived, sheriff’s deputies rushed the infant to St. Francis Medical Center in Lynwood, where she was pronounced dead. Witnesses told sheriff’s investigators that the attack was carried out by two males in a dark four-door sedan, with one of them opening fire into the converted garage, said Deputy Trina Schrader of the Sheriff’s Information Bureau. The car was described as a newer model blue four-door Chevrolet Impala. Detectives believe the shooting was gang-related. Anyone with information on the shooting was urged to call the Sheriff's Homicide Bureau at (323) 890-5500 or Crime Stoppers at (800) 222-TIPS. The mayor also issued a challenge to the community.